4 Financial Tips for 2014 — D.R.E.A.M. 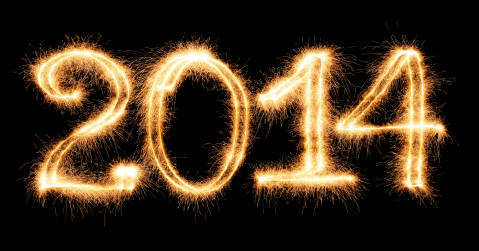 Welcome to 2014! On behalf of D.R.E.A.M,. I would like to wish you a prosperous New Year filled with joy and laughter. We continue to be appreciative of your support and look forward to continuing to provide cutting edge, personal finance information. Each year brings a new opportunity to reassess your financial situation, personal goals, and pursuit of wealth. Being committed to making better financial decisions is one resolution that we all should have. More importantly, our annual goal should be to increase our financial knowledge. With waves of new financial products released every year, it’s important to stay informed regarding your personal finances. According to a Bank of America survey, 43% of adults believe they have missed a good financial opportunity due to a lack of knowledge. Additionally, 32% of adults believe they have made poor financial decisions as a result of their lack of knowledge. These alarming facts highlight the need for increased financial literacy. Every January I look forward to writing my annual guide of tips and financial resolutions to help set my readers down the right path. For those that have been following this blog for a while, they know that I am a huge champion of saving, saving and saving some more. According to a recent FINRA study, 56% of Americans lack a rainy day fund to cover three months of expenses. In addition to saving (which I purposefully neglect to add to this year’s list) I want to place a greater emphasis on other areas that complete the wealth picture. Without further adieu, I unveil my top 4 Financial Tips for 2014. Mint.com: We continue to recommend Mint as a great starting point for using technology to manage your money. The site offers an online tool and mobile app that allows you to track your net worth, create and monitor your budget. Note: the app is not flawless and does experience minor glitches. Also the site does require that you input all of your passwords to your financial accounts. Level Money: This is a relatively new iPhone app (only three months old) is getting rave reviews for its simplicity and utility. The app serves as a spending meter and provides a budget for your daily, weekly and monthly spending based on estimates from your spending history. The app automatically accounts for recurring bills, savings and is linked to your credit and banking accounts to ensure you are receiving real-time spending data. Many of us have gifts and talents that we could put to use to generate additional income. A side business can have little to no start-up or overheard costs and increase your annual income significantly! (It could also become your full-time job if you are really good at it) Here’s a list of 50 secondary businesses that you can start with $50 or less. The key to maintaining a successful side hustle is to manage it like Fortune 500 corporation and operate efficiently. This seems like an obvious one, but the answer for financial woes is not more money. As I am often quoted saying, if you can’t manage ten dollars, you will fail at managing $100,000. But for some people, financial troubles are a result of insufficient income to cover mandatory expenses. Accordingly, increasing your annual income from your full-time or primary job can help to mitigate your financial troubles, granted you are able to keep your expenses stable. The additional cash can help you jump start or increase your savings and pay off debt. The key thing is NOT to increase your spending just because you have higher income. Maintain your current standard of living to fully see that new cash go to work in a positive way. Tackling your finances can be a challenging task even for the smartest individuals. In the same way that you may hire a personal trainer to get in physical shape, hiring a financial advisor, financial coach, or investment adviser can be useful in helping you get your finances “in shape”. Now, you may be saying to yourself, “advisors cost too much money.” However, the cost of financial mistakes can be more expensive. Additionally, I recommend utilizing a fee-only adviser that does not charge based on the amount of your assets but rather a predetermined, set fee based on the amount of service they provide. Femi Faoye is the Co-Founder and Chief Executive Officer of D.R.E.A.M. He's also the Founder of Millennial Capital Management, an investment management firm based in New York City. He’s a staunch and passionate financial literacy education advocate.